Quality is a top priority at Beike Biotechnology. Beike has an extensive ‘start-to-finish’ quality control protocol in place that commences from the selection of stem cell donors to the delivery of stem cells at treatment centers. Beike Biotechnology has established more than 20 adult stem cell processing laboratories, in accordance with good manufacturing process (GMP) standards, and has been awarded ISO9001 and ISO17025 certificates. 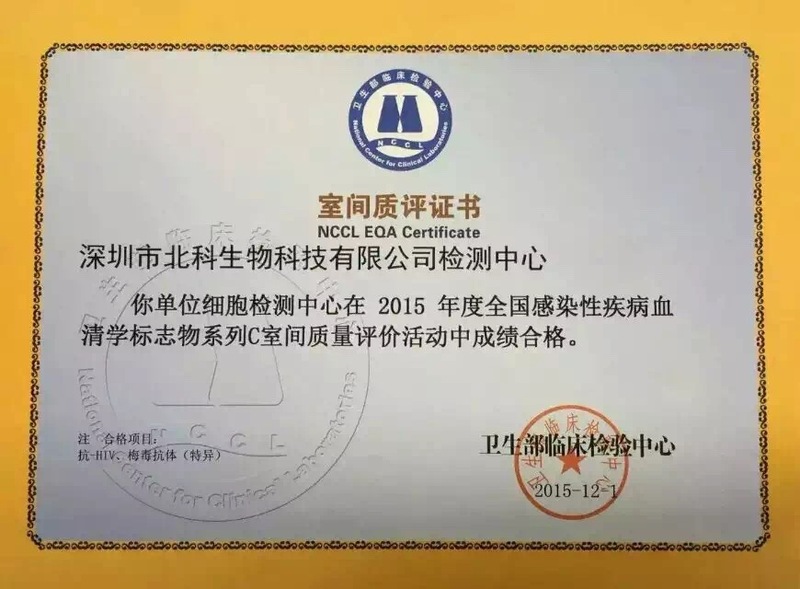 Our centre in Jiangsu was accredited by the Chinese National Accreditation Service for Conformity Assessment (CNAS) in 2011, and was the first adult stem cell processing laboratory accredited by CNAS. In addition, Beike Biotechnology successfully completed on-site evaluation for American Association of Blood Bank (AABB) accreditation in September 2011. Beike Biotechnology has over 20 GMP standard laboratories across the country with class-100 clean rooms fitted with specialist stem cell equipment such as 8-colour BD high-speed sorting flow cytometry, Olympus fluorescence microscopes, Chart MVE gas storage systems, ABI fluorescence quantitative PCR devices, and automated stem cell separation and storage systems. Beike Biotechnology adheres to strict biological quality management and established the earliest and most complete quality standard system for adult stem cells. 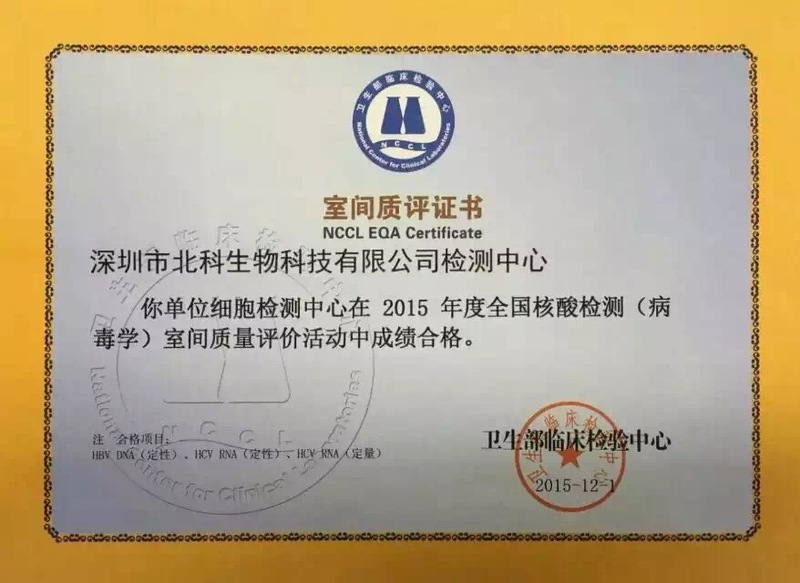 Beike Biotechnology Testing center passed external quality assessment（EQA）for annual national infectious diseases serological markers series C in 2015. 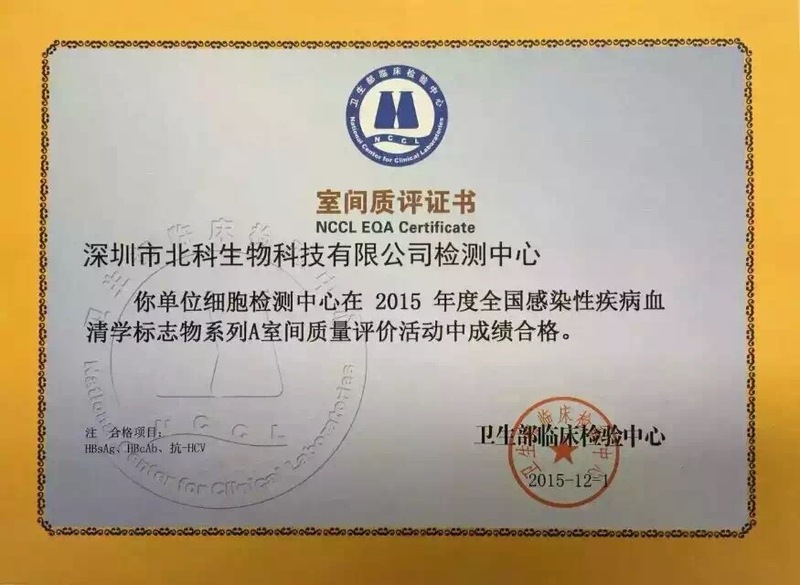 Beike Biotechnology Testing center passed external quality assessment（EQA）for annual national blood type chamber in 2015. 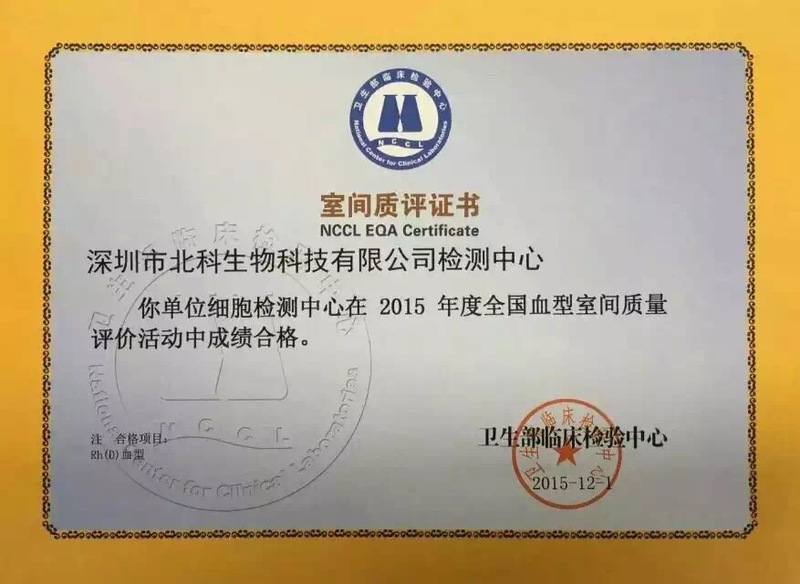 Shenzhen Beike Biotechnology Testing center passed external quality assessment（EQA）for whole blood cell count in 2015. 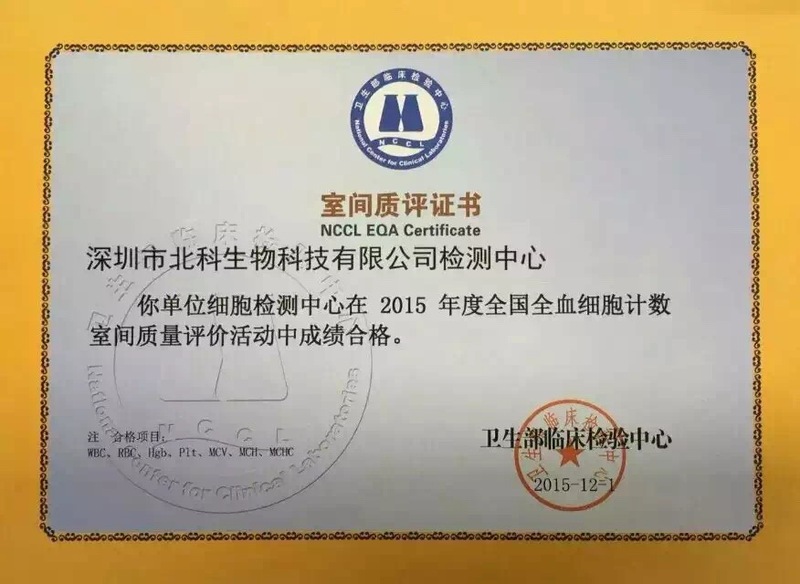 Shenzhen Beike Biotechnology Testing center passed external quality assessment（EQA）for national infectious disease serological markers series A in 2015. © 2016 Beike Biotechnology Co., Ltd.